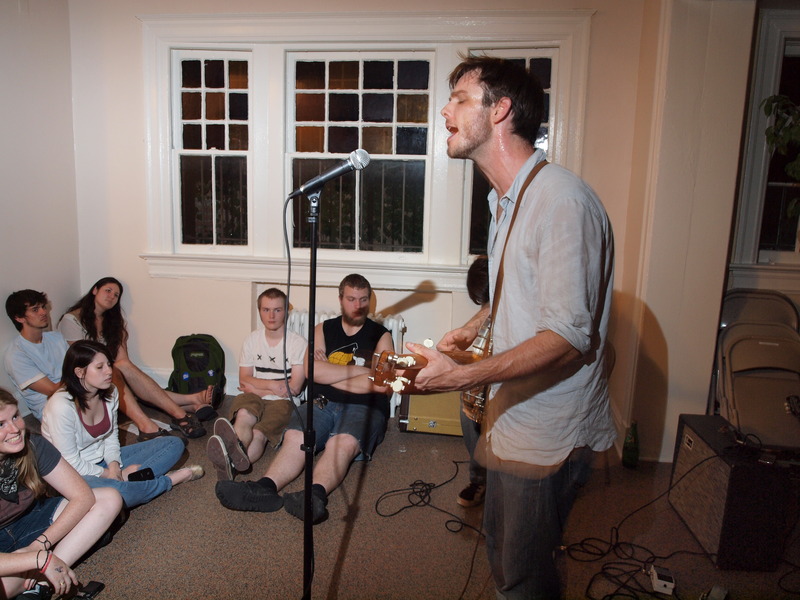 In 1994, Chris Johnston (also known as Chris Clavin) and Sam Dorsett founded Plan-It-X, a record label and soon-to-be folk punk community, in Bloomington, Indiana. Their label’s intent is to articulate anarchist and DIY (Do-It-Yourself) ideals as an alternative to capitalist art, music, and ways of living. For the artists, this may involve such things as making your own band merchandise, like patches or buttons, as well as selling books, art, and music at little to no profit. For the consumer, this may involve being a part of a ‘Freegan lifestyle’– meaning living a no-waste lifestyle by eating food that has been thrown out. This may also include living on a commune or being a part of a collectivist lifestyle with little emphasis on private property. Plan-It-X and folk punk records through their music, ideals, and praxis lies at the intersection of anarchism, class, and queerness. An archetypal Plan-It-X artist has a low, gruff voice and speak-sings while guitars and fiddles, kazoos, or trumpets play in the background. Some of these bands include Against Me!, Ghost Mice, Andrew Jackson Jihad, and Defiance Ohio. The lyrics of these artists often fixate on ideas of poverty, anti-capitalism, childhood, religion, and helping friends. The Plan-It-X label helped unite the geographically isolated punk communities with common goals. Plan-It-X’s slogan reads: “If it ain’t cheap, it ain’t punk”, emphasizing the anti-profit and DIY nature of the artists and lifestyle. In an interview graduate student Benjamin Haas conducted with founder Chris Clavin, Clavin describes what DIY means to Plan-It-X records.“I equate D.I.Y.with being socially aware and politically correct. D.I.Y. bands are generally radical and far left. They are hopefully politically aware too and anti-racist, anti-sexist, anti-homophobic, anti gender bias and generally anti-establishment or at least strong believers in personal freedom” (Haas 2013). These DIY ideals are spread lyric through folk punk but also spread in praxis. This can be done not only through freeganism, bedroom recording sessions, or making your own merch but also through the practice of the label itself. 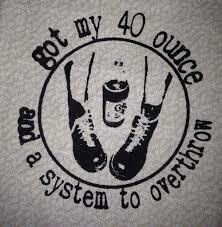 “Most DIY punk labels are small affairs and their distribution tends to be very direct. They sell their releases at shows, and perhaps at a few local indie record stores. I just trade records with people and then I just bring some boxes to shows. That’s my favorite part about punk: some kid with some boxes of records at a show. I got most of my records that way” (Dunn 2012). 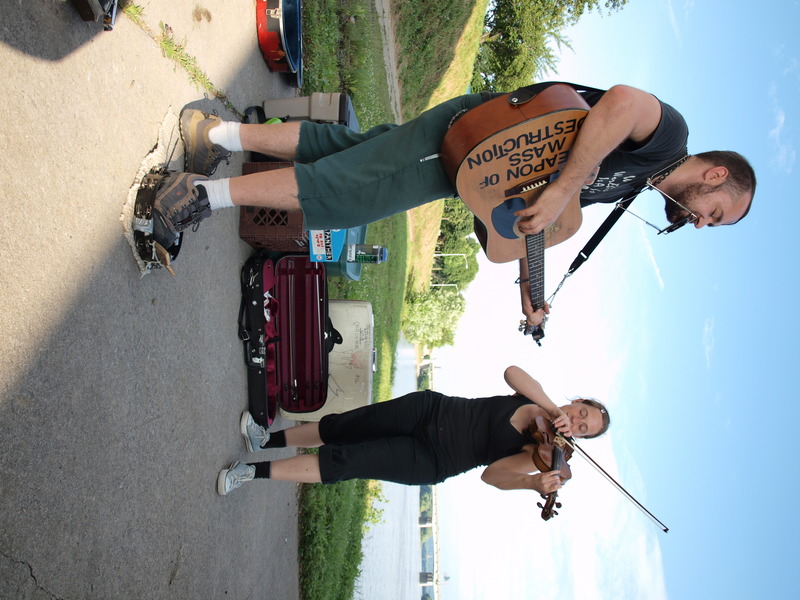 This is where Plan-It-X comes in; without the label, folk punk is still a subculture but has less mobility. With the spread of free and available online tools for streaming and downloading music like Bandcamp and Soundcloud, twenty years after its conception Plan-It-X shows its importance. The role of Plan-It-X takes is an archive of subcultural music and ideals and source of its distribution. In this way, Plan-It-X becomes a source and place of subcultural authenticity. The label becomes a tool and subcultural capital marker for those in the folk punk subculture. 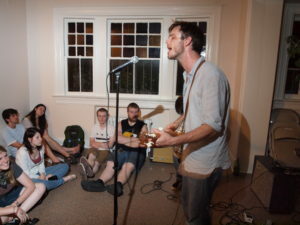 A folk punk artist performing at a comfy house show. “We started to wonder where the coupons went/ so we looked through the dumpster and what did we find/ we found 140 of them/ sooner or later we started making our own/ we stole checkbooks/ and credit cards/ signed signatures that were not ours/ slice after slice we ate pizza every night/ we always shared it with our friends/”. “At the cops in their cars/ and the men in their suits/ No, I won’t take your hand and marry the State/ ‘Cause baby, I’m an anarchist/ You’re a spineless liberal”. 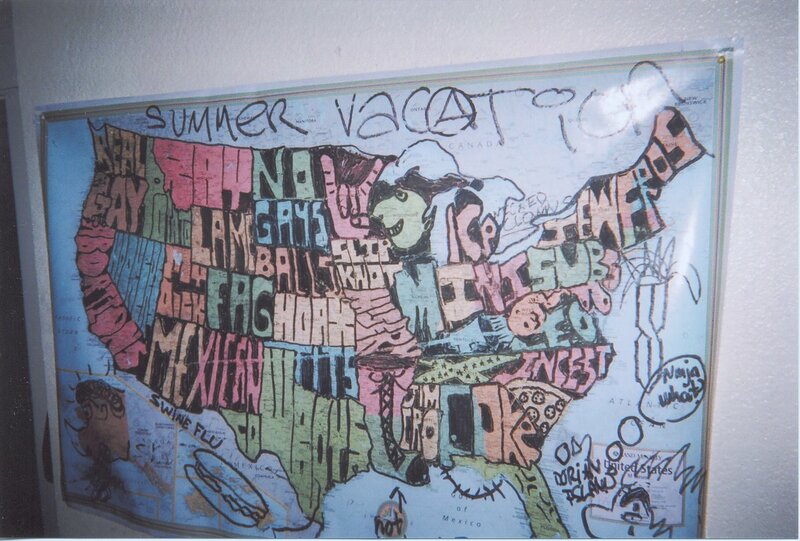 A map from the wall of a house show showing crude or satirical descriptions for each state. To celebrate these ideals, Plan-It-X has held a summer music festival since their founding, in the heart of the Midwest. 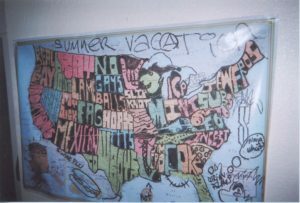 The geography and location in Midwest plays a role in the anarcho-ideals of folk punk. American industrialism and the decline of it, in cities such as Detroit and Cleveland, was an example of the working class being taken advantage of and often suffering due to neoliberalism. 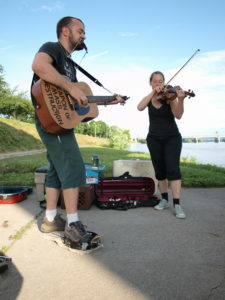 Understandably, after watching their grandparents or parents deal with this economic loss many Midwestern counter-culture groups like folk punk turn to anti-establishment, anti-government, and anti-capitalist ideals. The Plan-It-X community also prides itself on the queerness they have clung to since their inception. One of their most successful bands ever that has released been on their label is Against Me! who have flirted with mainstream success. While at their peak in 2012, Laura Jane Grace came out as transgender, shocking many casual listeners of the band not involved in the punk, DIY, or folk punk subcultural scene. To those heavily involved in the Plan-It-X scene this event was not as much of a learning experience or surprise as it was to the general public. As articulated by Jodie Taylor in ‘Claiming Queer Territory’, subcultural groups, like folk punk, are deviant against the traditional heteronormative masculine punk scene but also traditional LGBTQ scenes that establish that queer is meant to be seen and shown in a specific way. As a subculture, folk punk prioritizes rights and diverse expressions for queer people, as the founders of Plan-It-X are both queer. Chris Clavin and friend playing a gig as Ghost Mice. However, despite the identities of the founders and holding ideals of being anti-sexist, and anti-gender bias, Chris Clavin has perpetrated some the worst examples of predatoritory and misogynistic behaviors. As of 2016, Plan-It-X records is no longer in existence. Furthermore, as of this year Chris Clavin has been outed as an abuser. In the DIY music scene, abusers who are successful often go unreported or still maintain their respect. However, as shown, people in the movement and subculture tend to hold to each other accountable. The idea of letting abusers get away with it threatens the trust and praxis of everyday folk punk folks. The forces that lead to the decline and possibly death of this scene are not only the obvious economic harshities of running a ‘no-profit’ label. Moreover, the ultimate demise has been the hypocritical actions of Chris that have generated the final pull from artists to take their name away from Plan-It-X. Zooming out beyond the issues of abusers, it is surprising that Plan-It-X was able to receive more than 20 years of notoriety with the changing reception and definition of folk and punk. The term folk music is historically defined as music that is transmitted orally, often without record (sounds pretty DIY). However, folk’s pervasive American whiteness is one of its other defining characteristics. In the past 30 years folk has transitioned from its white, “low art”, homely roots (Woody Guthrie, Bob Dylan) to its still white but avant garde or high art perception (Animal Collective, Fleet Foxes). Additionally, the other half of the title, punk, has gone through its series of changes. It his previously existed and is still spoken of as an exclusive tradition and community and now has transitioned to being for everyone and commodified. Punk is seen as a relic. For example: in 2013 the Metropolitan Museum of Art ran an exhibition called “PUNK: Chaos to Couture”, showing punk as a historical thing to be displayed. Folk and Punk were able to coexist due to a comprising of their ideals and collaboration of their goals for the self and community. 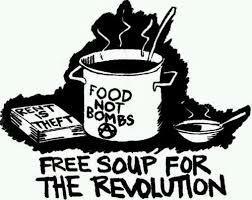 To begin with folk and punk has very different meanings not only musically but politically. “The important point here is that, in the punk underground, there is much talk of ‘the community’; folk, meanwhile, is obviously understood to represent some communal expression. Yet the conception of community is not the same in each: ‘we are the punks’ means something very different from ‘we are the folk’. There is insufficient space in this essay for detailed discussion of the political and counter-hegemonic ramifications of this difference, but it is fair, in general, to characterise the punk underground as anarchistic and the folk movement as socialistic” (Dale 2009). The way punk and folk go together is juxtapositional yet makes sense. 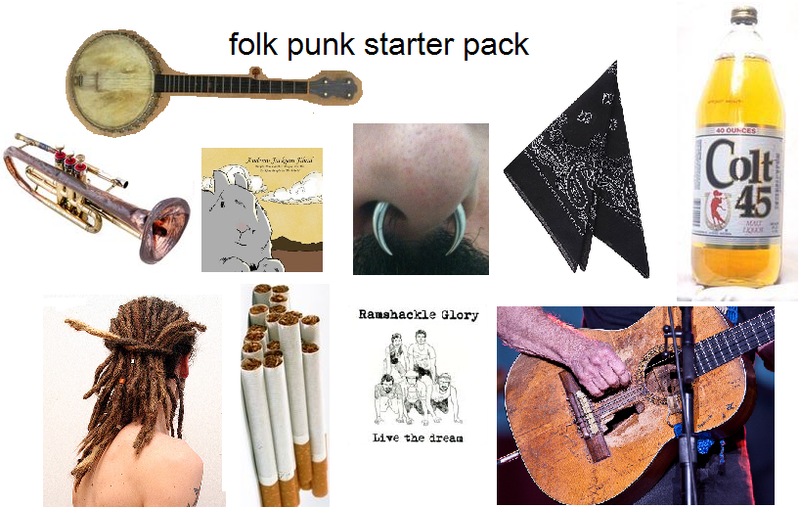 Folk punk meant to create a space where anarchism thrived but you took care of not only oneself but also one’s friends. The Plan-It-X label that not only helped navigate members of the subcultural in finding the unification of these politics through music and but also in the act of unifying physically at Plan-It-X fest. 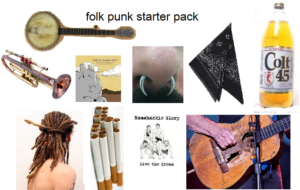 Without this tool the folk punk subcultural is seemingly dead. 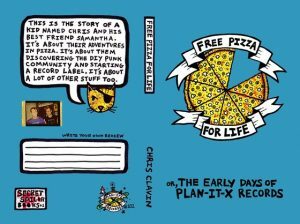 Microcosm Publishing, 2006, “If It Ain’t Cheap, It Ain’t Punk: Fourteen Years of Plan-it X Records Preview.”. This is a video compilation about what Plan-It-X means to the attendees of Plan-It-Fest. Punk With A Camera, 2016, “And One For Good Luck – The Last Plan-It-X Fest”. A video of all the different activities and music of Plan-It-X’s last fest. Tony. 2011. 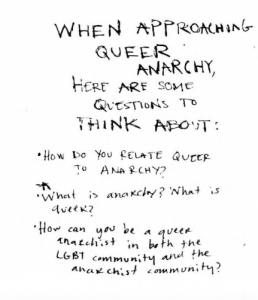 Zine: “The Anarchistic Queer #1.1.” Queer Zine Archive. 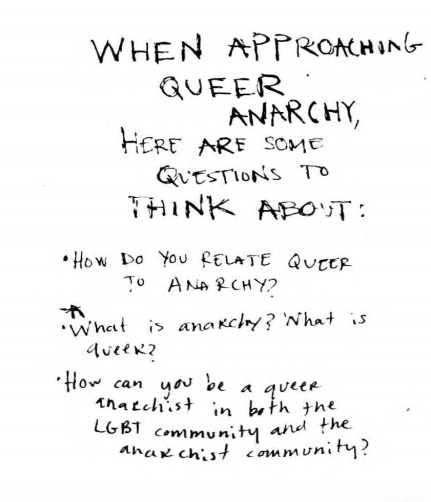 This a zine found of The Queer Zine archives website about anarchism and queerness. The archive a collection of DIY zines from the 80’s till yesterday. Clavin, Chris. 2012. “Free Pizza For Life.” 1st Edition. Bloomington, Indiana: Secret Sailor Books & Plan-it-x Records. 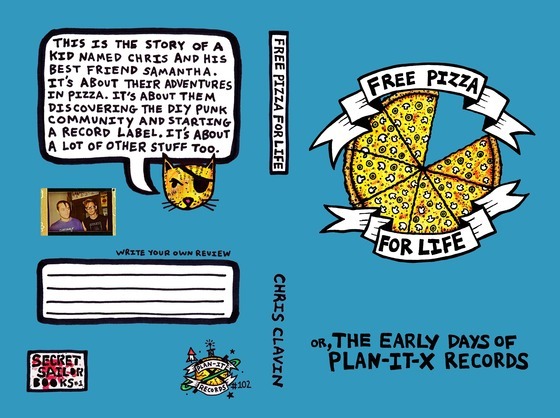 A book by co-founder of Plan-It-X about their life, music, and DIY. Dale, Pete. 2009.“Punk as Folk: Tradition as Inevitability, the Appearance of Subjectivity and the Circuitry of Justice”. This article explains the difference and similarities of folk and punk in their meanings and expressions. Eyerman, R. and A. Jamison. 1998. “Music and Social Movements: Mobilizing Traditions in the Twentieth Century by; Acting in Concert: Music, Community, and Political Action” Cambridge: Cambridge University Press. This journal explores formations of social groups through the lense of more popular music. Portwood-Stacer, L., 2010, “Constructing Anarchist Sexuality: Queer Identity, Culture, and Politics in the Anarchist Movement”, Sexualities 13(4): 479-493. This article explains ideas of queerness, authenticity, and anarchism. Portwood-Stacer, L., 2012 “Anti-Consumption as Tactical Resistance: Anarchists, Subculure, and Activist Strategy”, Journal of Consumerist Culture 12(1): 87-105. This journal evaluates anti-consumerist strategies in subcultures and the effectiveness of this in activism. This article speaks on queerness, consumption, and popular music– including how queerness can be co opted in mainstream culture. Haas, Benjamin. 2013 “Performing folk punk : agonistic performances of intersectionality” Louisiana State University and Agricultural and Mechanical College. LSU Digital Commons LSU Doctoral Dissertations Graduate School. Walter, Benjamin. Dunn, Kevin. 2012. “If It Ain’t Cheap, It Ain’t Punk”: Walter Benjamin’s Progressive Cultural Production and DIY Punk Record Label”. This article examines DIY culture and music production and distribution. DIY is the call for progressive production. Encarnaro, John. 2013. “Punk Aesthetics and New Folk Way Down The Old Plank Road” Farnham: Ashgate. This text explores the path and trajectory of folk music from classic Bob Dylan to experimental Joanna Newsom. The Metropolitan Museum of Art. 2013. 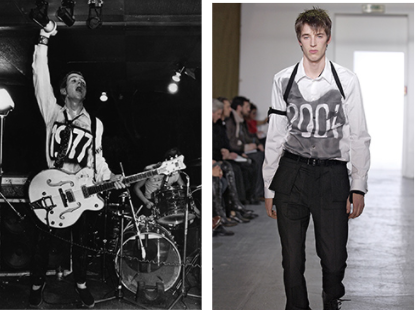 “PUNK: From Chaos to Couture”. 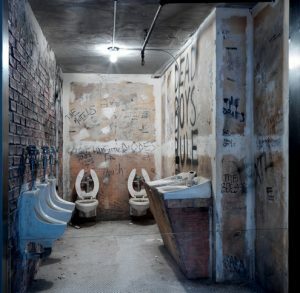 This website is a visual example of closing the book on punk music and considering it historical. It includes images and descriptions of both very realistic and very abstract exhibits.